100 and 10-0 – milestones in preparation for Michigan. This year marks 100 years of Camp Randall Stadium, and Wisconsin’s first ever 10-0 record. 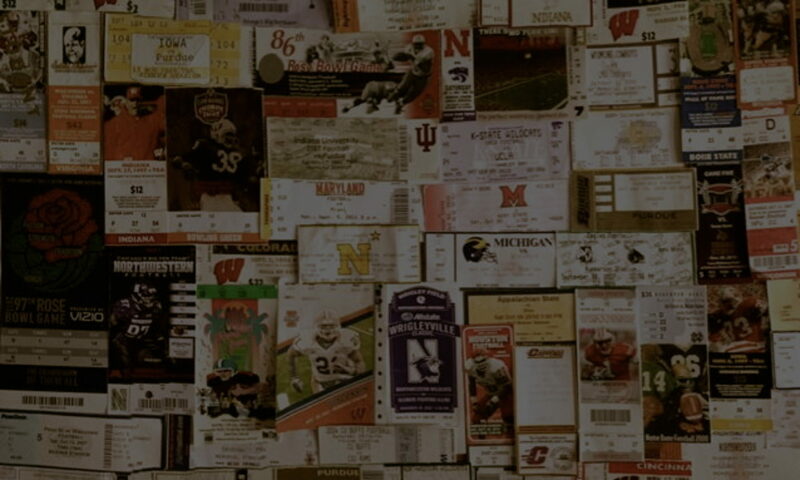 The Big Ten title game appearance was set for the Badgers, but the opportunity for the college football playoff loomed. ESPN’s College Gameday set up their show on Bascom Hill in Madison signifying the magnitude of this conference tussle. 2007. Opening Day. Ann Arbor, Michigan. FCS member and largely unheard of against the fifth ranked powerhouse Wolverines. The game began with hope and anticipation for a championship season for Michigan and ended with the biggest upset in college football history. That game changed the trajectory of both programs, mostly for the Mountaineers. If you bought Michigan stock, I hope you sold it early – like after the fourth game of this season because the Wolverines have been in a tailspin since. Actually, dumping it after Lloyd Carr retired two years ago probably would have been better seeing that the Rich Rodriguez era has only ushered in frustration and disappointment. Did Michigan really have anything to play for? Regardless of the outcome of their game against the Badgers, the Big Ten title still depended on their success against Ohio State next week. Perhaps they were looking ahead and not focusing on the Badgers who needed this win in the worst way. Missing their star wide receiver and standout runningback, Wisconsin would need to play at optimum level to knock of the Wolverines. On senior day, the Badgers would reach that level and take it a step further. I am convinced that for Northwestern fans, part of the gameday experience is feeling intimidated on your own campus. This couldn’t be more valid when Michigan comes to visit. On our walk to Ryan Field, we had to squint to find any traces of purple while being distracted by thousands of fans screaming, “GO BLUE!” in unison. Wearing purple myself, I felt threatened and nervous and this was my familiar territory. The stadium turned out to be half and half in attendance for both teams, but if felt more dominated by the Wolverines. Yet, on a northbound train packed with maize and blue, the conductor, knowing completely well that Central Street is the stop for Ryan Field, advised all Michigan fans to exit at the Davis Street stop if they wanted to go to the game. Not a bad prank, especially for Northwestern. Even if outnumbered, I suppose everyone loves to hate the Wolverines. A sellout at Ryan Field is not commonplace. Michigan, although hated by all Big Ten brethren, tends to bring out the best in others. A completely transformed atmosphere from the usual paltry attendance made Evanston the place to be on this Saturday night. The fact that game time had been set for the evening coupled with homecoming weekend gave Ryan Field a more purple glow, as well. Still, a strong contingent from Michigan displayed their maize and blue and when the Wolverines took the field, images of the Big House in Ann Arbor came to memory. Camp Randall was an exciting place to be on this late Saturday afternoon, but the 79,000 who smashed into the stadium had little notion that this feeling would befall all Wisconsin fans that witnessed this contest. Hearts were aflutter in the Badger state knowing the magnitude of the Michigan game. Wisconsin needed to notch wins over the Wolverines and then the Gophers in two weeks to secure a bowl bid. In addition, this was Michigan – the tyrant of the Big Ten that terrorized all teams in their path. Intimidation courses through the veins of those who come to Ann Arbor wearing the opponent’s colors. This quaint town can appear harmless to visitors, but the closer to Michigan Stadium, the more daunting it can be. 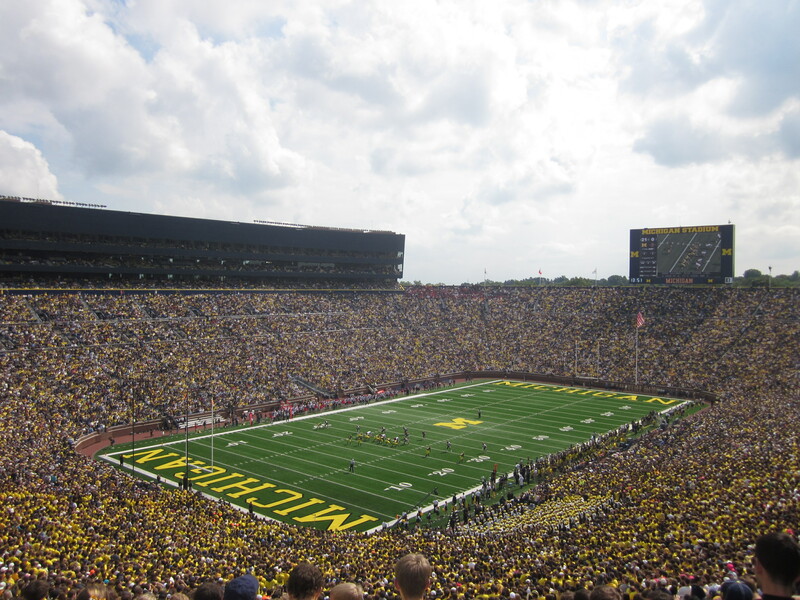 Of course, this is just what Wolverine fans want for their home turf. Get ready to be heckled, teased, and pushed around for not wearing the coveted maize and blue. Michigan fans will act contentious to show their superiority.